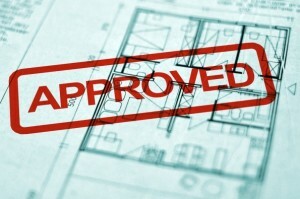 At present a detached property can go up to 4m without any planning and a attached property can go up to 3m (Semi-Detached/Terrace) Permitted development rights are a national grant of planning permission which allow certain building works and changes of use to be carried out without having to make a planning application. In 2013 the government to encourage growth in the building industry doubled permitted development rights to 6m for a attached property and 8m for a detached property. This was for a trial period of 3 years and was due to end in March 2016. Due to the success of this scheme, the Government have extending this scheme until 2019. Crofton as your agent will obtain the necessary approvals to carry out work under this scheme, free of any charge. The planning process is massive simplified and will only take 3 weeks. Now will be a good time to carry out the work whilst planning rules have been relaxed. Look forward too seeing you soon! Bi-folding doors are a great addition to any home as they provide a whole host of practical benefits as well as creating a stunning contemporary finish to a conservatory or extension. They open up the whole room, allowing natural light to flood in without compromising the amount of open space. Here at Crofton we have teamed up with Eurocell to bring our customers the ultimate in quality and design. We believe the Eurocell door is one of the best PVCu systems available in the UK providing an ideal home improvement solution. Unique hardware – Discreet design allows doors to fold back flatter for better views. Ultra-slim frames – Large glazed areas to maximise natural light. Smoother running – Aluminum roller track for effortless gliding. Seamless entrance – A flush-fitting threshold ensures inside to out integration. Neater aesthetics – Patented trims conceal unsightly gaskets. Enhanced safety – They meet stringent Secured by Design security standards. The doors feature a locking system, which is spread over multiple points along the sliding track. Ultimate energy-efficiency – Triple seals make Aspect weather and draught proof. Maximum versatility – Bespoke sizing capabilities to suit your home. In recent years conservatories have gained huge popularity as a home improvement option. They not only help to enhance the appearance of your home but also create additional, usable living space as they are constructed as an attachment to your existing floor space. Our most traditional conservatory design is the Victorian, which is made up of either three or five sections and can be stretched. This pretty and elegant looking design is a style we associate most with the Victorian era, hence its name. This style of conservatory adds an interesting shape to the outside space as well as the inside add gives off classy styling to the garden. These conservatories are available in an array of choices including, PVCu, Hardwood and aluminum with either polycarbornate or more often nowadays our super efficient Smart Glass. Whether you have a conservatory, orangery or glass extension now summers arrived you’ll no doubt be revelling in the extra space that this area of you home provides. You’re enjoying spending time in it, taking in the views of your gardens, eating, entertaining friends and generally just enjoying being in there. Can the same be said for the autumn and winter months….? An overwhelming number of UK homeowners only spend time in their conservatory during summer and spring meaning that 50% of the year this additional space in your home is being neglected. To help you enjoy your room all year round we have introduced a range of stylish energy efficient conservatory heat pump systems helping to heat it 365 days of the year in required! They are aesthetically pleasing so blend into the design of the room without being intrusive and feature a number of intelligent features including ‘Sleep Mode’ and Feeling Mode’. During ‘Sleep Mode’, the output of the system is gradually reduced until it switches itself off over a 7 hour period and ‘Feeling Mode’ senses any minor alteration in room or body temperature and signals the changes to the unit every 3 minutes so adjustments can be made regularly. This addition to your conservatory means that you can use it for pretty much anything from socialising with friends, embracing your hobbies and relaxing to using it as a home office or work out area. The uses are endless so make sure your maximise your space during every season. Conservatory vs. Orangery What is the difference? Conservatories and orangeries are a popular choice by homeowners looking to add space, as well as value, to their property. They both offer increased living space and provide a room to relax in whilst taking in the views from outside as well as extra space for entertaining family and friends. So what exactly is the difference? It’s a question we often get asked so here’s the answer. Orangeries originated from Italy in the 17th century when it was fashionable amongst the elite to have a separate room within (or near to) the main house to grown citrus fruits – hence the name orangery – to protect them from the elements during the winter months. Orangeries tend to feature more brickwork and less glass than that of a conservatory and subtly blend in with the masonry of the house itself. Our Orangeries are usually constructed using a fully structural engineer designed timber roof, which has a Firestone EPDM (single ply rubber) deck. The shift to conservatories came when people started growing herb plants as shrubs as opposed to fruit. The extensive use of glass meant that the plants could grow at a rapid pace due to the direct light source flooding in through the glass roof and side panels. This is a feature that has carried through to the modern day structure and is the defining feature in differentiating between the two. So to summarise, conservatories use minimal brickwork and more glass. Orangeries feature more brickwork, tend to be bigger and epitomise luxury. In line with our new showroom in on West Street in Fareham, Crofton Conservatory Centre has launched a redesigned website. Featuring information about our products and services, it can be your first port of call when enquiring. We hope you find it useful. If you have any comments or questions please us the Contact Us page.